Dr. John F Lund, MD is a Doctor primarily located in Ogden, UT. He has 23 years of experience. His specialties include Clinical Cardiac Electrophysiology, Cardiovascular Disease and Internal Medicine. He speaks English. Dr. Lund has received 1 award. The overall average patient rating of Dr. John F Lund is Great. Dr. John F Lund has been rated by 3 patients. From those 3 patients 3 of those left a comment along with their rating. 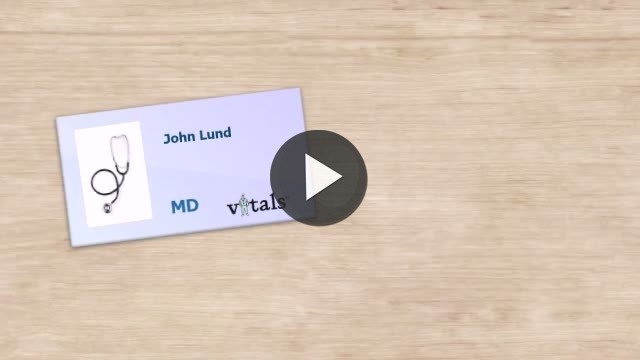 The overall rating for Dr. John F Lund is 3.7 of 5.0 stars. Dr. Lund just spent 20 minutes explaining why we got excellent care, while his patient was at a 7 on the pain scale and he was doing nothing about it. He was more concerned with covering for the hospital and his nurse than doing something proactive for the patient. He would not listen and threatened us with security when all we said to him was that he wasn’t listening. We were not yelling or otherwise causing any upset other than with his ego. The CNA introduced himself to his patient at 4 pm, 10 hours after his shift started. The patient didn’t get a breakfast menu until 10am, and her pain level was high and the nurse did not address it with the doctor until we called the Charge Nurse in. I would never go to him or to McKay Dee. I am compelled the offer my thanks to you and your team at McKay Dee; it has been some time since I have felt this good! You nailed the issue with my heart rhythm. Dr. Lund, so many thanks for patching up the pump, it affects mood, personality, attitude, and love of life. You did well by me, sir. Dr. Lund is an excellent Dr. He cares about his patients and is very knowledgable about heart procedures. I am alive today because of him. Take a minute to learn about Dr. John F Lund, MD - Cardiovascular Disease in Ogden, UT, in this video. Dr. John F Lund is similar to the following 4 Doctors near Ogden, UT. Have you had a recent visit with Dr. John F Lund? Select a star to let us know how it was.